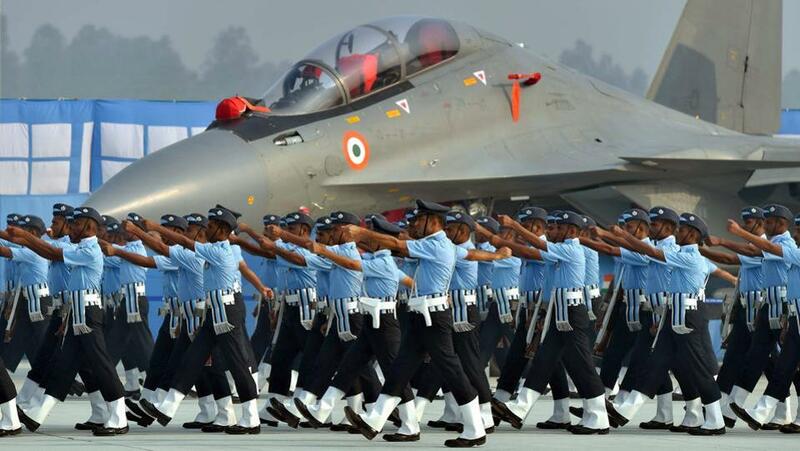 Indian Air Force Declining Squadron Strength – A Wake-up call. The Indian Air Force declining Squadron strength seems to be getting back on the track with the advent of Rafale and BJP government pust to fast track Tejas induction. However , the Indian Air Force Squadron strength has substantially depleted over a period of last few decades due to complete neglect by the successive governments. The critical condition of Indian Air Force ( IAF ) squadron numbers is due to many factors but lack of priority and neglect by the successive governments, an ageing aircraft fleet, prolonged procurement process and delay in the development of indigenous fighter plane program ( LCA Tejas ) are responsible for this crises situation . The decline in air force squadron number is causing serious concern about Indian air force operational capability to fight a two-front war. The present NDA government led by Prime Minister Narendra Modi has initiated a number of measures including the purchase of new fighters to ramp up the Indian air force squadron numbers. However, the recent Rafale controversy has once again exposed the inability of the Indian politicians to accord due importance to the issues of national interest. By dragging the issues pertaining to armed forces into the political arena is bound to take a toll on the defence preparedness in years to come. The Bofors Scam deprived Indian Army of Hovitser Guns for last forty years. What is the current Status Of IAF – Indian Air Force? Indian Air Force Current Squadron Number Status. IAF Depleting Squadron Numbers And Risks Perception. What is the Indian Government’s Action Plan? What Is the Status Of India’s Indigenous Fighter Jet Program – LCA Tejas. 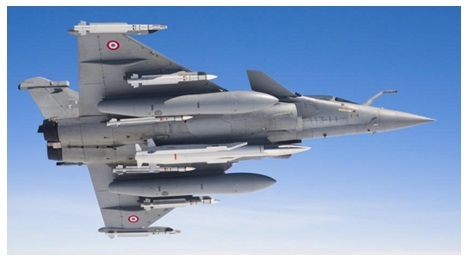 The MMRCA Program – The French Rafale Deal . The Indian Air Force ( IAF ) has a glorious past and played a commendable role in winning each war fought by India. The IAF had inflicted a devastating blow to the enemy in 1965, 1971 and also during the Kargil War. However, the Indian Air Force is heading for serious trouble especially due to its declining number of the squadron. The IAF squadron strength has now reached a dangerously low level of 31 squadrons from approved squadron number of 42 squadrons. The IAF is facing a crises situation due to its declining squadron numbers which is affecting the operational capabilities of the Indian air force. The Indian Air Force combat capabilities need to be significantly improved to meet the future challenges. The time has come for the Indian government and IAF to take a serious look at the combat capabilities of the Indian Air Force . This crises situation is mainly due to declining squadron numbers caused due to the extremely slow pace of the procurement process for new fighter planes and also the delay in inducting the new indigenous Tejas aircraft. The MMRCA program under which Rafale aircraft was purchased is an example of how Congress led UPA government kept the Rafale deal in cold storage for ten years adversely affecting the IAF capabilities. The present Indian Air Force inventory mainly consist of Soviet-era aircraft. The IAF is currently operating MIG 21 , MIG 23 , MIG 27 , MIG 29 , Su 30 MKI , British Jaguar And French Mirage 2000. The MIG series Soviet aircraft which forms the bulk of these aircraft are almost on the verge of the retirement. These aircraft have already gone through a number of upgrades, refit programs and the effective service lifespan of these aircraft is almost over. Most of the original equipment manufacturing companies for these planes have already stopped the production of these aircraft long back. And therefore, IAF is facing a severe shortage of spare parts necessary to keep these planes operational. The non-availability of the spare parts has affected the operational efficiency of these planes . 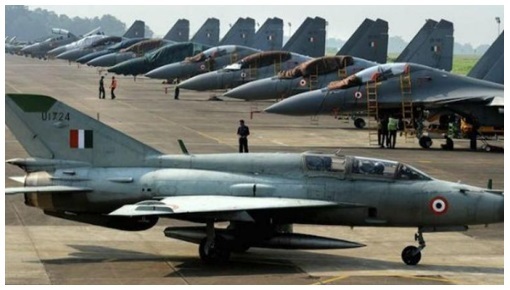 The MIG 21 , MIG 23 and MIG 27 would be phased out in the next decade which might bring down the IAF squadron number strength from 32 to 22 squadrons if these planes are not replaced with new planes on the war-footing in sizable numbers. The Indian Air Force will have to be operationally ready for two-front or even three-front war scenario. India’s rise as a financial superpower is not going to be easy and the Indian government must invest in building modern well equipped armed forces in order to achieve the strategic objectives. The threat perception in India’s neighboured has completely changed with the induction of J-20 fighters in the Chinese air force, which is claimed to be a fifth-generation fighter with stealth capabilities. The Chinese air force has also acquired Russian SU – 35 which is a much better platform as compared to Indian Su – 30 MKI. Pakistan can count on China to get access to fifth-generation fighters in a few years from now, perhaps earlier than IAF. 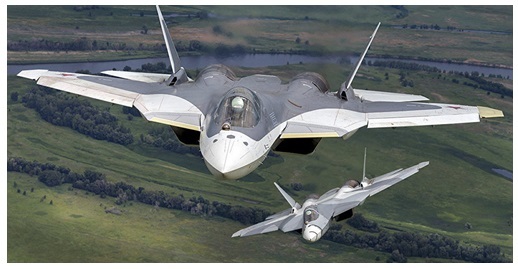 Needless to say , IAF plans to acquire fifth generation fighters has failed and India has now officially backed out from the agreement with Russia for Su-57 ( PAK FA), which even Russian air force is reluctant to induct these aircraft. The Light Combat Aircraft ( LCA ) Tejas being designed and developed by HAL to replace the ageing MIG 21 is also lagging far behind the schedule. The LCA program was conceptualized in 1969 but the actual serious work started In 1984. The Indian government established the Aeronautical Development Agency ( ADA ) as a principle design agency to manage the Light Combat Program LCA program. The LCA Tejas program took almost three decades to reach the production level. The LCA program was started with the main objective to develop an indigenous light combat plane which will replace the ageing MIG 21 which IAF operates in large numbers. Despite the efforts of three decades, Hindustan Aeronautics Ltd ( HAL ) failed to produce the Tejas in required numbers to ramp up the depleting IAF squadron numbers. The delay in the development of indigenous LCA Tejas can be attributed to two reasons. First, the LCA Tejas design specifications were quite ambitious especially when HAL ( lead development agency ) did not have any prior experience in developing such complicated technologies. Further, The IAF also suggested a number of improvements during the LCA development stage to ensure its combat worthiness and incorporating these changes is also taking time. Second , the HAL and ADA both lead development agencies for LCA project had consistently failed in keeping the LCA program on the schedule and could not develop some critical technologies. For example, The “Kavari Engine” which was to power LCA Tejas consistently failed on various performance parameters. Further , the program also lacked UPA Congress government’s drive and focus to push the HAL for keeping the LCA program on schedule. The Indian air force is now constrained to operate with ageing fleet and extend the life span of these ageing aircraft because the indigenous fighter plane LCA Tejas program is lagging far behind the schedule. The indigenous LCA Tejas fighters which were to replace these planes are still not available in required numbers despite the efforts of three decades . The delay in the development of LCA Tejas program had completely derailed the Indian Air force ( IAF ) modernization plan and adversely affected its operational capabilities . The previous UPA government under the leadership of Congress party had failed to deliver the projects of strategic importance despite consistently ruling India for over fifty years. The UPA Congress government also could not clinch the MMRCA program under which IAF was to be equipped with 126 multirole fighters of 4 plus generation aircraft. In UPA government era, the MMRCA program could not proceed further in the last fifteen years despite the critical condition of Indian Air Force. The new NDA BJP government under the leadership of Prime Minister Narendra Modi came to power in 2014 . The new government under the leadership of then Defence Minister Mr Manohar Parikar decided to take the LCA Tejas program to its logical conclusion. It was Mr. Parikar’s vision , drive and commitment to bring the LCA Tejas program back on the track under “Make In India” initiative. The present NDA government led by BJP seems to be working on all fronts to resolve this crises situation. Considering the current status of IAF depleting squadron numbers and a large number of new aircraft required , the NDA government has initiated three major steps in this direction. The first step in this direction is to quickly ramp up the LCA Tejas production. The IAF has already placed the order for 120 Tejas MK1 A series . The HAL is currently producing only 8 Tejas per year , whereas the required production rate should be at least 20 Tejas per year . The present NDA government has already given the clearance to the HAL for the production of 40 Tejas MK 1 A ( 20 IOC + 20 FOC ) and additional 83 LCA Tejas MK1 A specifications. The HAL finally seems to be taking all the right steps to ramp up the Tejas MK1A production to 20 aircraft per year . To achieve this target , the HAL has already decided to open additional production lines . However , the additional production lines might take some time to become operational and therefore private sector companies participation is must to achieve this production figures for Tejas . The HAL has realized that its role should be as a central development agency and eventually , the production work will have to be offloaded to the private sector companies. The Indian private sector companies with the proven track record of manufacturing capabilities can easily manufacture the LCA Tejas in required numbers. The Indian private sector companies are well geared both financially and technologically to substantially contribute to delivering the Tejas MK1 series aircraft in substantial numbers as well as other platforms. The government has already prepared the blueprint for strategic partnership ( SP ) model which will provide the framework for active participation of Indian private sector companies in defence manufacturing in India under “Make In India” initiative. As per the strategic partnership ( SP ) model , some select private Indian companies with existing defence manufacturing arm will be allowed to exclusively make various military platforms for a specified period of time. The Defence Ministry spokesperson recently stated that government is working towards the institutionalising a mechanism that would be transparent, objective and functional to offer a level playing field. The strategic partnership ( SP ) model framework is necessary to encourage broader participation of the private sector in defence manufacturing under the ‘Make in India’ program. The Indian government has also clinched the deal with the French company Dassault Aviation under inter-government agreement to purchase 36 Rafale planes in flyaway condition . This deal is estimated to be $ 5.8 Billion would include 36 Rafale planes , weapons package , associated equipments and the training to IAF personnel for operation and maintenance . The Rafale deal which the previous UPA government had kept lingering for crucial fifteen years finally concluded. Condidering the critical stste of the Indian Air Force squadron numbers, the NDA government had left with no other option but to go ahead with the immediate purchase of addition of 36 Rafale planes in flyaway condition. The Rafale fighters will be a complete game changer for the Indian air force and will provide some more time to the government to take corrective measures. The Rafale has already gone through the stringent evaluation by IAF . The Rafale fighters are once again in news for all the wrong reasons . The opposition parties in India are up in arms against the government accusing the corruption in the Rafale deal. The Opposition parties under the leadership of Congress party have accused the government for paying much higher price as compared to the negotiated price when the UPA Congress government was in power before 2014. The Opposition parties have also accused the government for granting undue favours to Anil Ambani’s Reliance group by allocating substantial portion of offset obligation to be full field by French company Dassault Avation that manufacture the Rafale planes . The Indian government has rebutted these charges as unfounded and with ulterior political motives . As per the media reports , the UPA government had kept this deal in negotiations mode for fifteen years . The NDA government on the other hand decided to go ahead with purchase of 36 planes in flyaway condition instead of 126 planes being negotiated in MMRCA contract . This decision to get 36 Rafale came as major relief for Indian air force due to its rapidly declining squadron numbers . All political parties must avoid the clash of political interest with the national interest . The issues related to Indian armed forces should not be unnecessarily dragged in to the political arena . The Rafael deal is an example of how political interest can override the national interest . The IAF desperately needs Rafael fighters at this point of time . The IAF may have to face a two-front war and develop the capabilities to face such a challenge . The Rafael equipped with top of the line BVR Meteor missiles can give clear edge to the IAF against its adversaries. The UPA government era decision to acquire Russian fifth generation PAK FA ( Now SU- 57 ) has also failed to take off . The IAF has expressed serious reservations about the perfornance as this aircraft . The Su-57 does not meet the IAF requirements in terms of performance , stealth capabilities and engine power . Further , Su-57 still seems to be in development stage . Even the Russian air force is reluctant to induct Su-57 in its current configuration . Instead , Russian air force would induct more Su-35 . The current NDA government had left with no other option but to put the SU-57 project on hold as Russians were also not ready share some critical technologies although India is a partner in this project and contributed 50% of the development expenses. The Indian government now conveyed its decision to completely exit from this project and might consider the option join this program in future it the this aircraft meets the IAF requirments. The Indian government is also currently working on the indigenous fifth-generation fighter program . However , this project as of now is in the development stage and the first prototype is expected to be ready by 2025. The Indian government had collaborated with Russia for the development of fifth-generation fighter. However the despite substantial investment in terms of time and money, this project failed to take off . The Russian Air Force has declined to induct the Su-57 in substantial numbers . The differences have also emerged between Russia and India over the performance of the plane and the technology sharing which prompted the Indian government to prematurely exit from this project . The Indian government started its indigenous Fifth Generation fighter project under AMCA – Advanced Medium Combat Aircraft . The Indian government is now actively pursuing its own fifth-generation fighter project which is currently being jointly developed by the design arm of HAL Aeronautical Development Agency ( ADA ) and the Hindustan Aeronautics Limited ( HAL ) will function as lead agency and the subsequent production for these new generation of aircraft. The feasibility study for the AMCA is already completed and the first demonstartion aircraft is expected to be ready by 2025. The NDA government under the decisive leadership of Prime Minister Narendra Modi has taken a number of steps in the right direction. This includes ramping up the LCA Tejas production with private sector participation And acquired 36 Rafales for IAF urgent needs. The government also went ahead with upgrade program for an existing fleet of MIG-29 , Jaguars and Mirage 2000 with the latest technology which includes a new engine, AESA Radars , BVR missiles and other features. Although these measures can only marginally improve the IAF strength. The NDA governments decision to immediately go ahead with off-the-shelf procurement of thirty six Rafael fighters was a masterstroke and commendable well thought of decision . Any further delay in this decision would have serious ramifications on the fighting capabilities of the IAF which will have to be prepared for two front war.